Cosplay Interview with NTG Cosplay « Adafruit Industries – Makers, hackers, artists, designers and engineers! NTG Cosplay has been making costumes since 2011. He’s gone from putting together costumes based on items he had on hand, to crafting armor, to using LEDs — he’s continually challenging himself. He told Adafruit about his costume history and has some valuable advice for those interested in attempting cosplay. 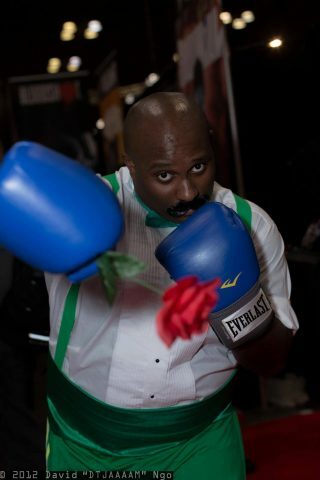 NTG Cosplay: My first actual cosplay was Ultimate Nick Fury at NYCC in 2011. I’d always loved Halloween and dressing up as my favorite characters, but for one reason or another I never took that final step into cosplay until I found a character I felt I could become. 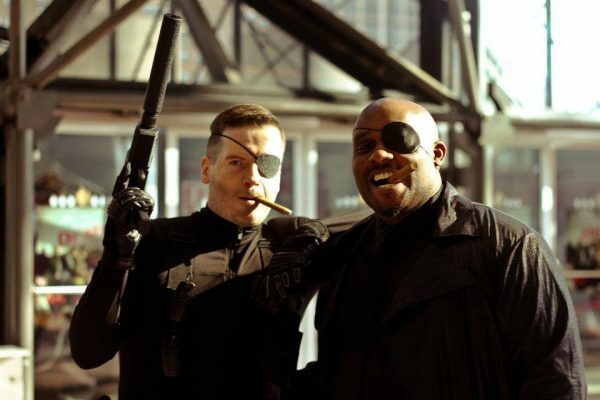 My Nick Fury costume was actually pretty simple and was composed of stuff that was lying around the house. So I put it all together and went for it. NTG Cosplay: I’ve made about 10 or so costumes. Adafruit: Which costume has been the most challenging and why? NTG Cosplay: My Ganondorf 2.0 was by far the most complicated because it was a lot of armor that I redid from scratch and I also challenged myself to incorporate LEDs into my Triforce emblem on my hand. There were absolutely times where I didn’t see myself finishing it, but I buckled down and did it and it was a success. Adafruit: What has been your favorite material you’ve worked withy? NTG Cosplay: It might be expensive, but worbla is by far my favorite material to work with. It’s so versatile and dynamic, especially with props. I used it to make the mace I used for my Viking Wario cosplay. 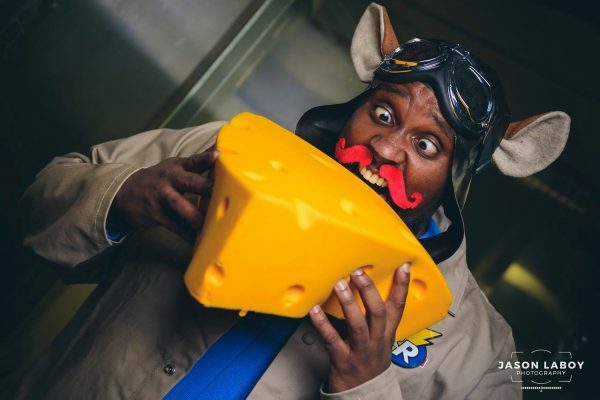 NTG Cosplay: Your cosplay doesn’t have to be super detailed or competition-level, but as long as you have fun doing it, that’s all that matters. If you’re looking to take the next step, speak to other cosplayers and ask them for tips. 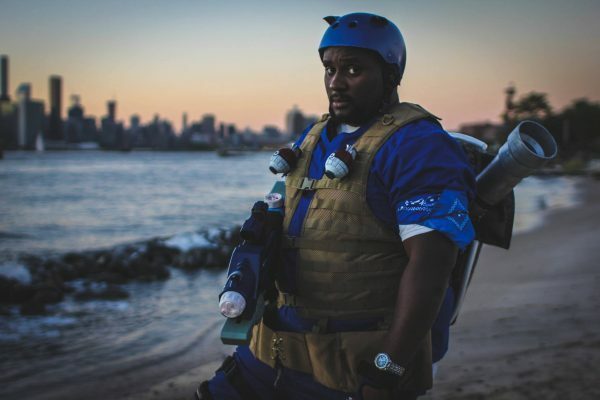 I was at a point where I was just buying costume parts piece meal and putting them all together (like my Dudley cosplay), but then I spoke to a cosplayer at NYCC who had a great cosplay with armor and props and spoke to him for a few minutes about his process and then I realized that I could do that! It wasn’t terribly complicated and I was able to budget my time and my money and get ready for next year’s con, and that’s when I did my first Ganondorf. I really, really enjoy the pride you feel when you build and complete something, and it’s even better when it’s appreciate by others. And I’ve also found that the community is really supportive as well with tips and techniques. Since then I’ve tried to challenge myself with each new cosplay, whether it be armor, props, LEDs, paint, and sewing. I may even try metalworking with my next one! But I think the bottom line is to not be afraid to make mistakes or to start over. If you keep at it long enough, it’ll click and you’ll be surprised at the amazing things you’ll be able to do. And if you find yourself not having any fun with it, then what’s the point? Cosplay works best when everyone is having fun. Keep up with more of NTG Cosplay’s work on Facebook.